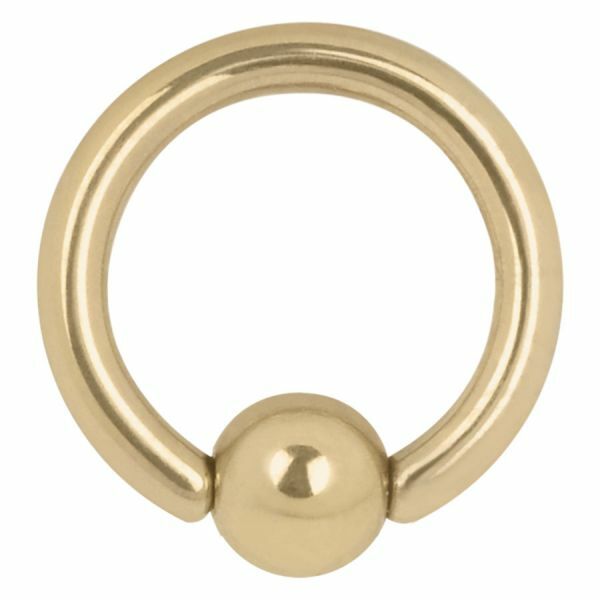 The classical Ball Closure Ring is suitable for various body locations. 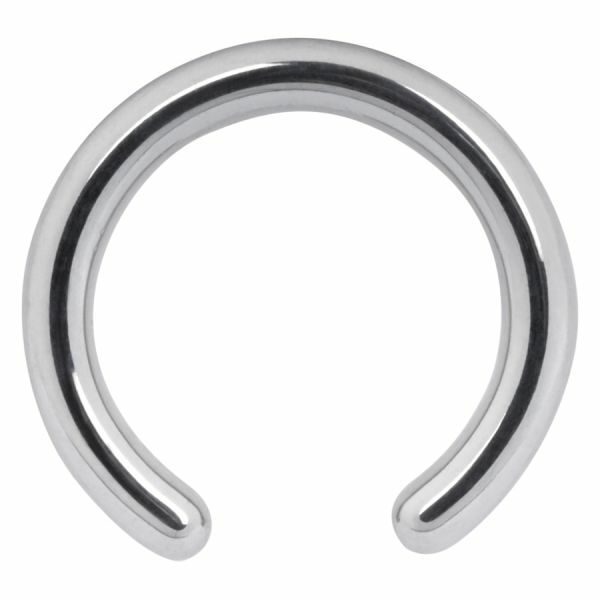 As clasping a ball functions, that will be clipped into the openings of the ring. It has two small dents on both sides with which it will be clicked into place. These rings are relatively heavy and can be sterilised using the autoclave. Please note: The clip-in ball is part of the delivery content. You can find it as a replacement article using the product code GCB. This product is also available in the Titan Highline(r) (XTR), Titan Blackline(r) (KBR), Steel Blackline(r) (MBC) and in the Steel Basicline(r) (IMP/BCR). The availability in the other lines may vary! All basics can be sterilised using the autoclave and due to the dermal gentleness of our materials are absolutely harmless to allergy sufferers. All body jewellery can be anodised on demand. During this process a thin oxide coating will be laid onto the jewellery by applying voltage. In short terms: the decorative colour-shades are generated without the use of pigments and make them available in the colours dark blue (DB), light blue (LB), dark green (DG) and violet/purple (VT). Any more questions? Do not hesitate to contact us! The Wildcat staff will help and advise you! Good quality ball closure ring.